The words ‘3D Printing’ have been flooding the media and our social media news feeds over the past number of months and the industry shows no sign of slowing down, in fact it appears the opposite is true. With the way that 3D Printing is been marketed, in particular by the 3D Printer manufacturers, you would be forgiven for believing that the process is straight forward and that you simply submit your 3D model and as little as a few hours later you receive your perfect scale model. Right? We’re afraid not and this month’s case study looks at the most crucial element, the secret sauce if you like, of 3D Printing. For anyone that has experience in 3D printing this case study will resonate with them. And for anyone that is in the business of solely printing 3D models, you will be all to familiar with the daily discussions, or sometimes arguments, with clients as you try to explain to explain to them that their submitted model needs extensive ‘fixing’ before it is print ready. This, in our opinion, is the biggest downfall of the industry at present and a lot more education is required in the area. For the past number of months, 3rd Dimension have been flat out developing our newly formed 3D departments. With over 14 years experience in the world of 3D, in particular 3D modelling and 3D visualisation, we thought it only natural that one of these new departments should be a 3D printing department. About six years ago we had done some intensive testing with 3D Printing but the industry was very young and the technology was still in its infancy. However in the last year or so the technology has advanced considerably and we now feel the time is right to implement our 3D skills and develop this new 3D Printing department. So what have we learnt over the past number of weeks since our testing began? Let’s start with the 3D modelling which is without doubt the secret ingredient behind producing perfect 3D models. The examples given below all relate to architectural models but the exact same principles can be applied to any object required as a 3D printed model. When 3D modelling for 3D printing, you have to think differently and model differently to how you would model for 3D visualisation for example or if you were producing a simple 3D model for presentation purposes. Do not assume that just because you have SketchUp model for instance, that was produced and shown to your client, that it can automatically be 3D Printed. You have to think very carefully about the end result, ie the 3D printed model, and will your digital model or components/elements of your digital model print properly. You must have a different mindset when 3D modelling for 3D Printing and from our experience so far 3D printers have limitations so the 3D modelling process has to be simplified in order for your model to print correctly. Another important consideration when 3D modelling for 3D printing is to make sure that all elements within your digital 3D model are supported. What we mean by this is if you have a house model with doors on the ground floor and these doors are shown as open but you have no ground floor, ie the bottom of the model is open, then they will not print as they are not being supported. Similarly, you can not have floating walls at 1st floor level for instance where you might get away with it for digital representation purposes. So when we 3D model for clients for 3D printing projects we make sure to strip back the finer detail of the design and educate clients on why this is essential. Including very fine detail in your 3D model for 3D printing is not advisable. Think of the scale you want your printed model at and then think of the thickness of elements at this scale and how weak or strong any one component or element of your model will be when reduced to your required scale. The scale mentioned above, 1:100, will give you internal wall thicknesses of approximately 3mm which is perfect for 3D printing. But depending on the size of the model you are printing this scale may be too large when costs are taken into account. 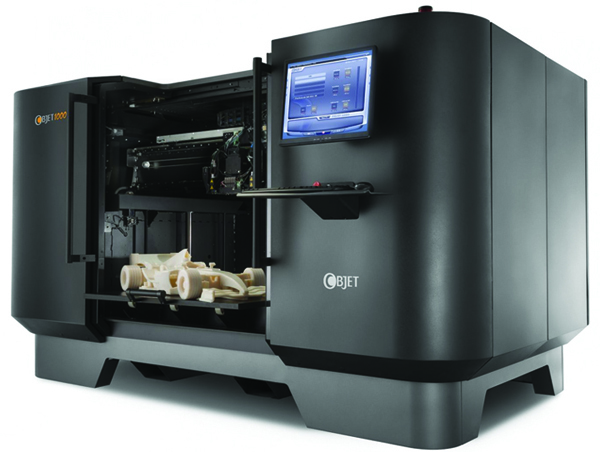 Printing costs, excluding 3D modelling or fixing of models, are generally based on the volume of material that will be used to print the model. So at 1:100 you might find the cost prohibitive and therefore need to change the scale to reduce the costs. Bear in mind that making your printed model even a fraction smaller in scale may have a significant impact on costs so always ask for costs for a number of different scales. However by making your model smaller in scale may result in elements of it not printing correctly and this is why we always say to consider scale carefully. Another tip or trick you should always consider is to hollow out elements to reduce costs. With resin based 3D printing, costs are based on cubic volume. Hollowing out elements in your 3D model, such as roofs, will result in a lower print cost. When you submit your 3D model to a print house for it to be 3D printed they will run a test on it to make sure that everything within the model will print properly. They use a specific piece of print software to analyse the model and report on the amount of material required for the print. So where possible reduce the volume of your digital 3D model but make sure it doesn’t impact on ability for the printer to print it. For example you cannot hollow out the walls to make them two faces with a capping on top as this will not print. This particularly applies to non architectural objects. We are having a replica of a trophy currently printed which was produced through our Photogrammetry department (creation of a digital 3D model through photography). The inside of the digital model of the trophy is hollowed out but the wall thicknesses have been left thick enough to print. This along with the choosing the right scale has significantly reduced print costs. Be Prepared When Submitting Your Own Models For Print. One thing we would say when submitting your own models to a 3D print house, is that you should be well prepared that it will require ‘fixing’ and some places may not even provide this service. This should not be taken as an insult to your 3D modelling capabilities, which should now be clear from reading everything above. Be prepared though that you will be charged for this fixing service so best get the digital 3D model as good as possible before submitting, taking into account the tips above of course. There is software out there that will allow you to check your digital 3D model but the cost of it is prohibitive unless you plan to have a constant stream of models printed in 3D. It is in the region of €6K. › Model Analysis – Free analysis of your model to see if it will print correctly. › Fixing of your digital 3D model – If you have a 3D model that will not print correctly then we can help. We can get it print ready. › 3D Modelling for 3D printing – We can produce a digital 3D model from 2D information for 3D printing purposes. › 3D Printing – In conjunction with our print partners we can have your digital 3D model printed in mono colour or full colour.